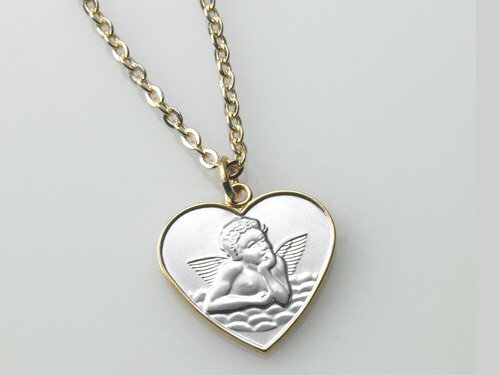 The Guardian Angel Heart is there to remind you that you have a very special angel that is always and forever by your side. This necklace also reminds you to be strong and confident in knowing that your Angels walk with you through life. If your Angels lead you into a situation or challenge, have faith in knowing that you can call on them to help you through it. This Rhodium Plated Pendant comes displayed in a beautiful gift box along with a rhodium plated chain. Also, with your pendant you will receive an official everlasting love collection letter signed by psychic medium Matt Fraser.